Where have all these auroras come from? Why do we need the LHCb? I'm an Undergraduate Physics student from Imperial College London, about to start the Masters year of my degree. I mostly write about physics research papers that I find interesting in the hope that other people will find them interesting too. The wordpress version of my blog is here. Comment by kinetic energy in Physics is hard! "Habitable and not-so-habitable exoplanets: how the latter can tell us more about our origins than the former"
The image above is of one of the planets I talk about, and its star. 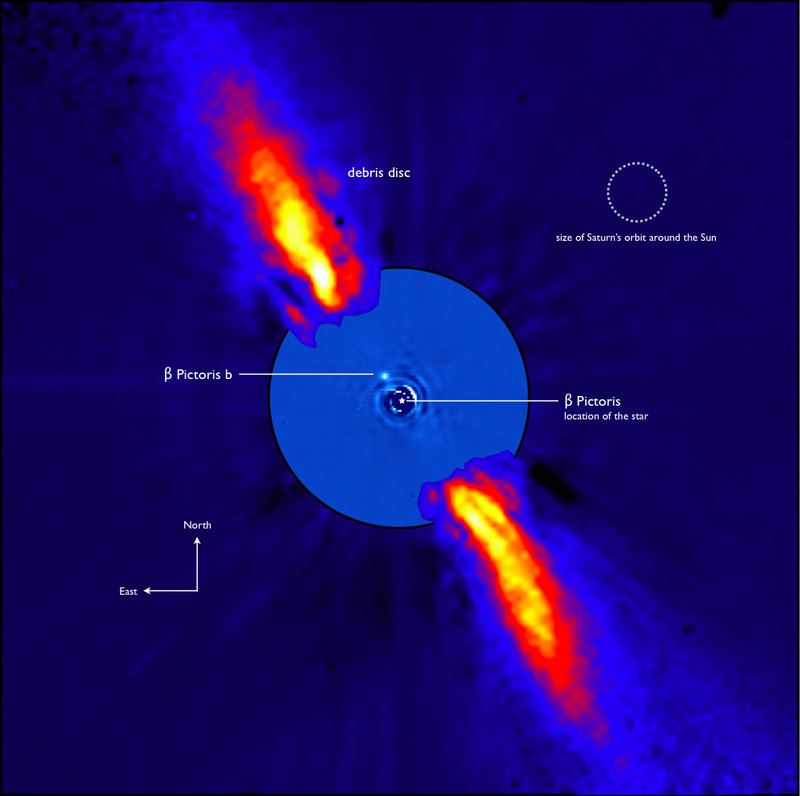 It's called Beta Pictoris b and is only around 60 light years from Earth. You'll have to go read my post to find out what's unusual about it, though. Good for you!! That's definitely worthy of self-promotion.